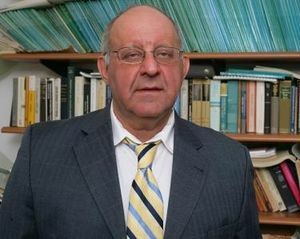 Considered one of the most influential and productive information theorists of today, the fundamental and cutting-edge contributions of Shlomo Shamai have been central to continued progress in wireless communications systems by addressing areas such as channel capacity, secure transmission, and the building blocks for next-generation wireless systems. Multiple-input, multiple-output (MIMO) technology multiplies the capacity of wireless communications networks, and Shamai has provided the most conclusive results on MIMO broadcast channels as an enabler of capacity expansion. He demonstrated that Costa (dirty paper) coding is the fundamental method for capacity-optimal signaling. His work has inspired much follow-up research toward the goal of achieving full capacity in MIMO broadcast channels. Shamai is among the first who introduced large random matrix concepts into information theory, which has had important implications for analyzing the performance of multiuser detection algorithms and quantifying the theoretical limits of multiantenna communication. Shamai and his collaborators provided inspiring and fundamental analytic connections between information and estimation in a Gaussian regime. His outage capacity concept has spanned beyond information theory as a useful tool to study the impact of antenna design on channel capacity. Shamai was instrumental in developing an understanding of efficient communications of fading channels, where severe interference from obstacles and propagation can degrade signal quality. He was among the first to study cellular communications in the fading regime and also presented the concept of block-fading channels. This concept has become a standard model allowing for progress in understanding fading channels. Shamai’s recent work has addressed a rich variety of aspects in cooperative cellular communication models, physical-layer security in wireless networks, including developing basic security results for MIMO systems, and characterizing the ability of fading broadcast channels to support variable-rate secured data transmission. He is also contributing to the foundations for cloud-based radio networks and next-generation (5G and beyond) wireless network architectures. An IEEE Fellow and recipient of the 2011 Claude E. Shannon Award, Shamai is a Distinguished Professor, The Andrew & Erna Viterbi Faculty of Electrical Engineering, Technion-Israel Institute of Technology, Haifa, Israel. This page was last edited on 23 April 2018, at 16:49.